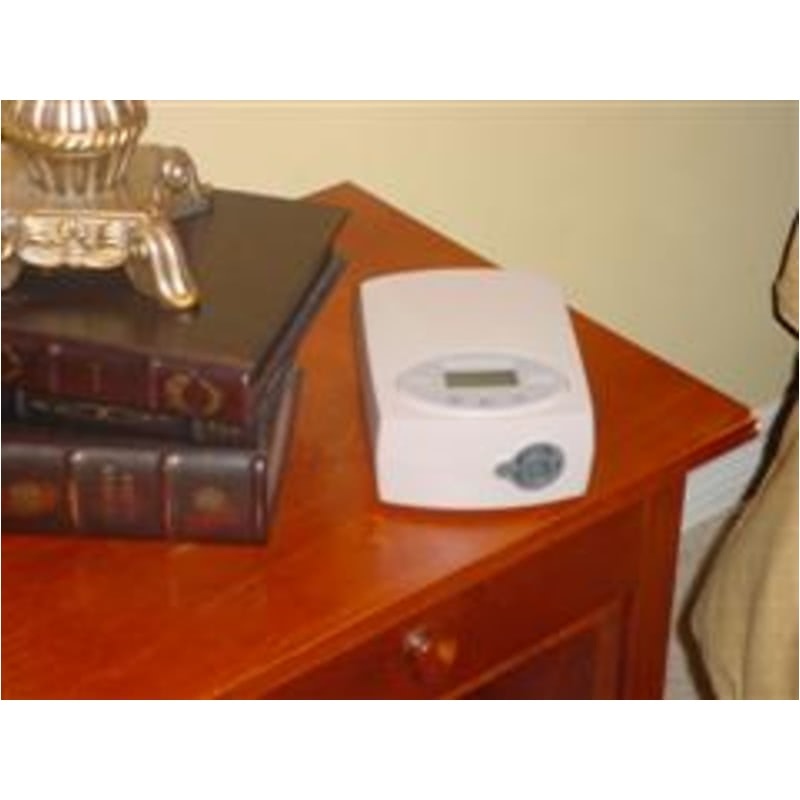 " I'm very happy with the new cpap machine,much smaller than my last cpap and works better also. " " Great Machine. Light weight, even with the humidifier. Combined with the Silverlining software, tracking compliance and performance is a wonderful utility. " The 420SP is the size of two VHS video cassettes stacked on top of each other. It is the lightest CPAP on the market. 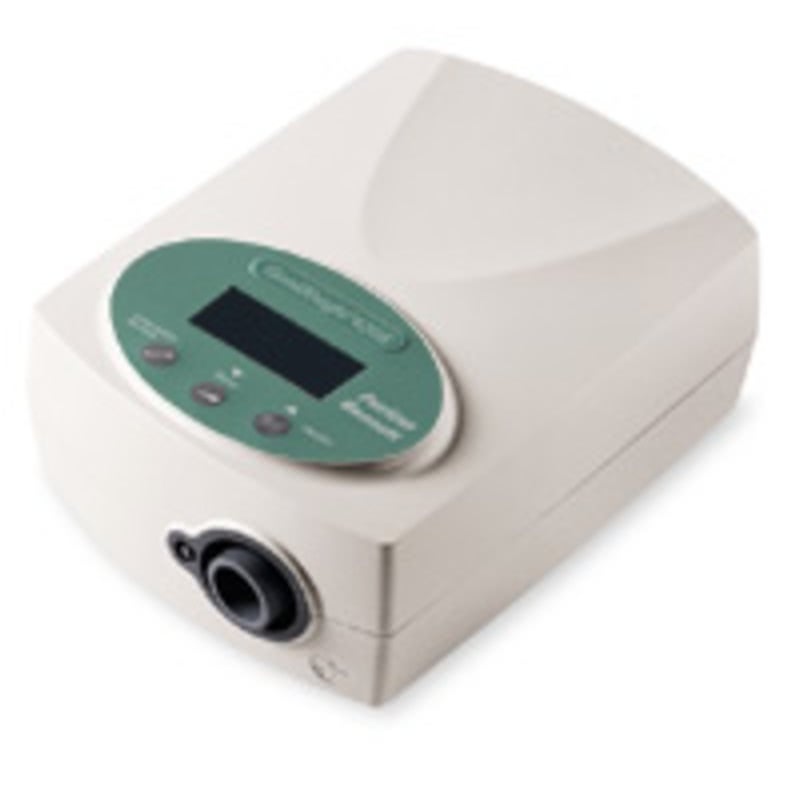 Best of all, it is built to last and backed by a two year manufacturer warranty which means that although it is a travel CPAP, you can plan on this little guy lasting as long as any other CPAP on the market. It is a great machine. 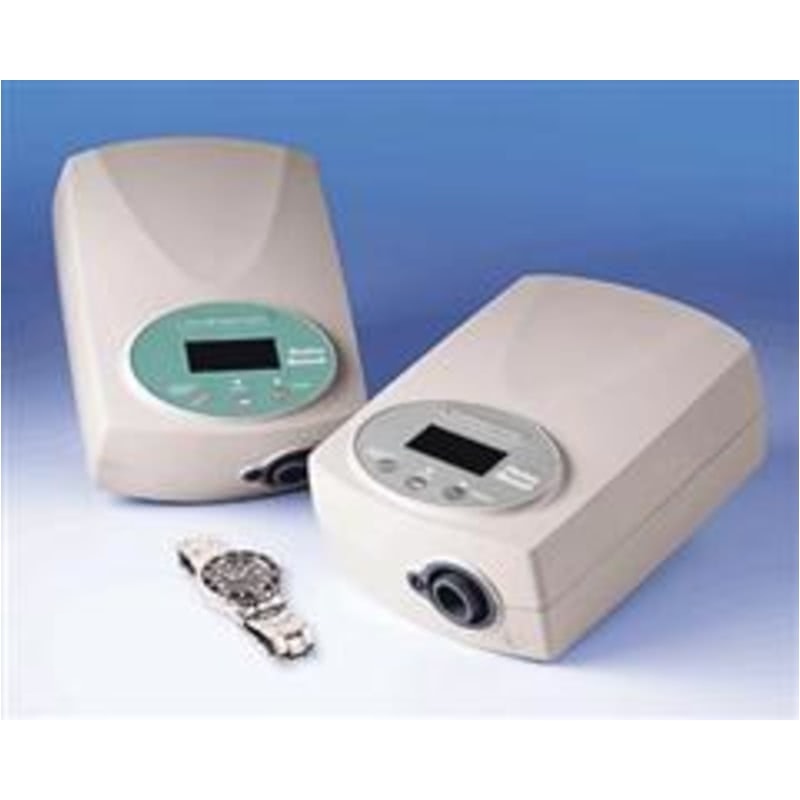 This is a standard CPAP machine which delivers one level of pressure during inhalation and exhalation. It suits most patients with obstructive sleep apnea. 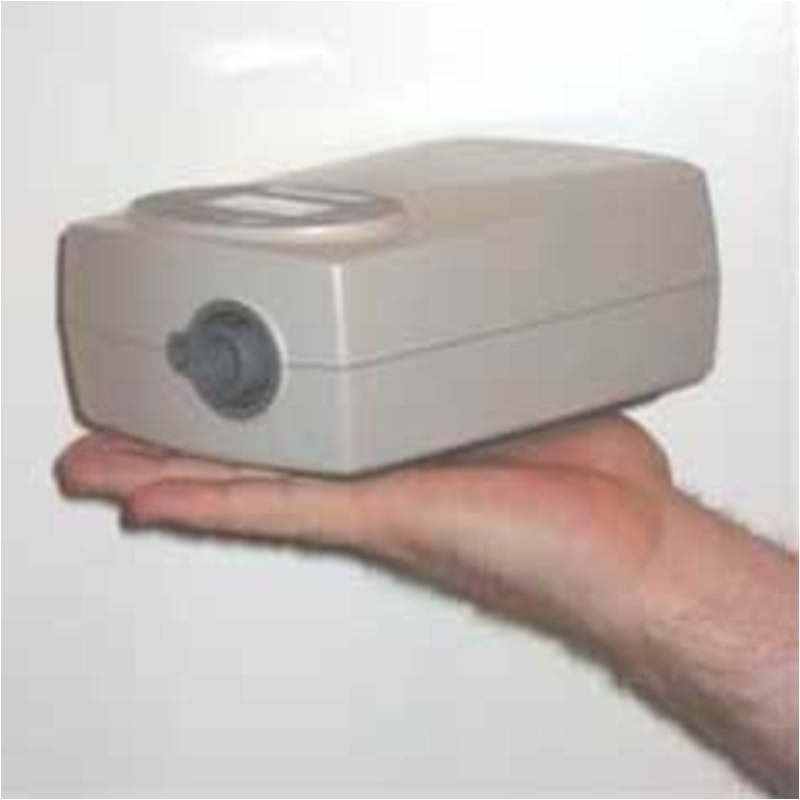 Smallest, lightest CPAP on the market. Direct DC operation without the need for a DC/AC inverter, just a cable and adapter which are sold separately. Two washable, reusable pollen filters are included; optional ultra-fine filters are available. Does not have the pressure line, which is an upgrade from the 420s. 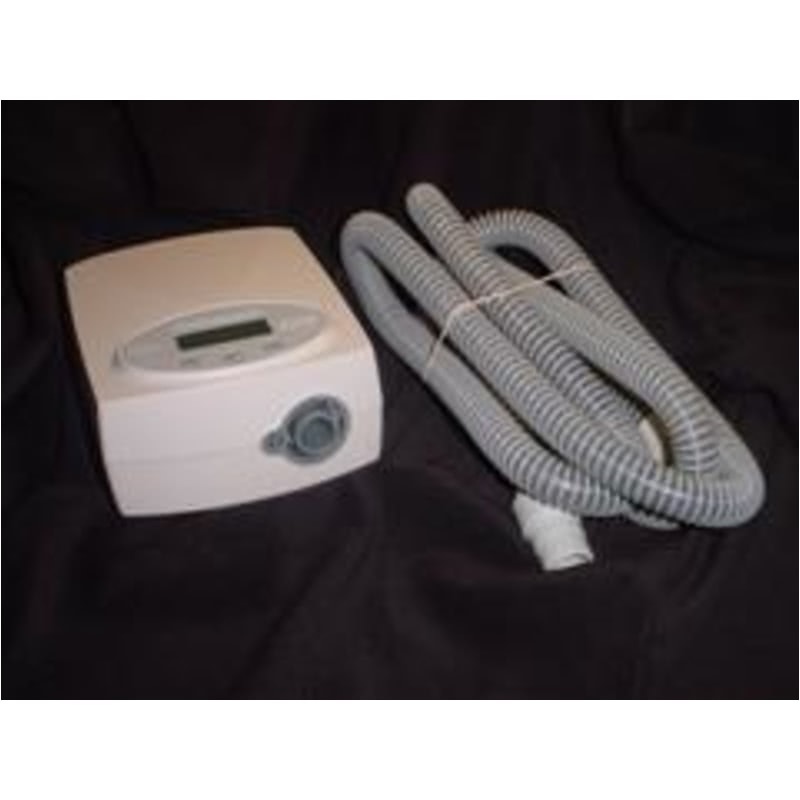 Dimensions 5.6" x 2.9" x 7.7"
Weight CPAP: 1.54 lbs. ; Power Supply Module (included): .21 lbs. ; Total weight 1.75 lbs. Altitude Compensation Automatic - maximum height 7800 feet. 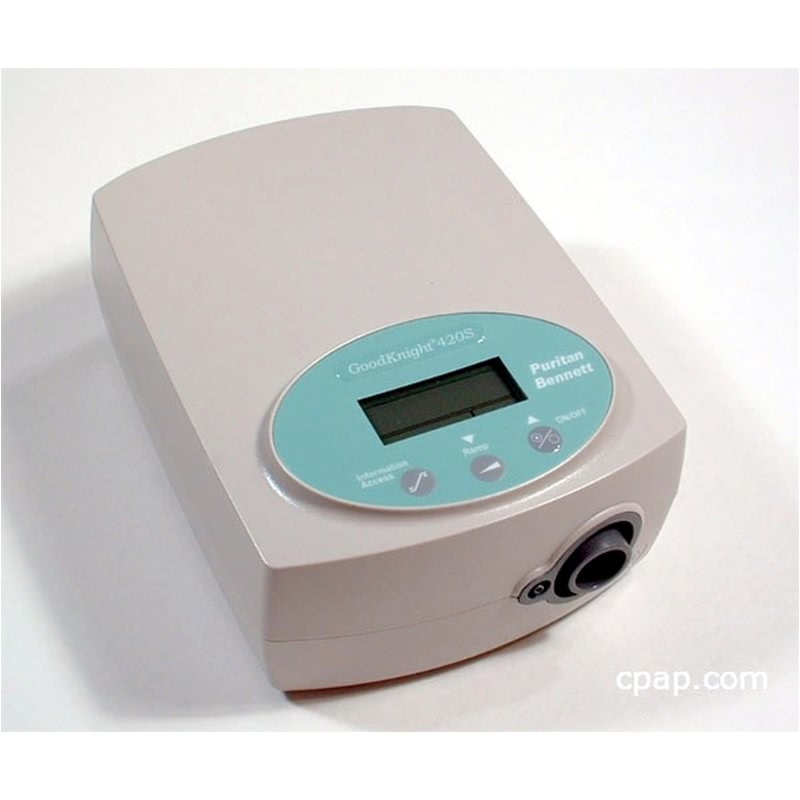 This small CPAP has been very popular because of the size and weight, especially as a second machine for travelers, but it can certainly be your 'every night' machine with as long a life expectancy as any other CPAP. It is a great product. 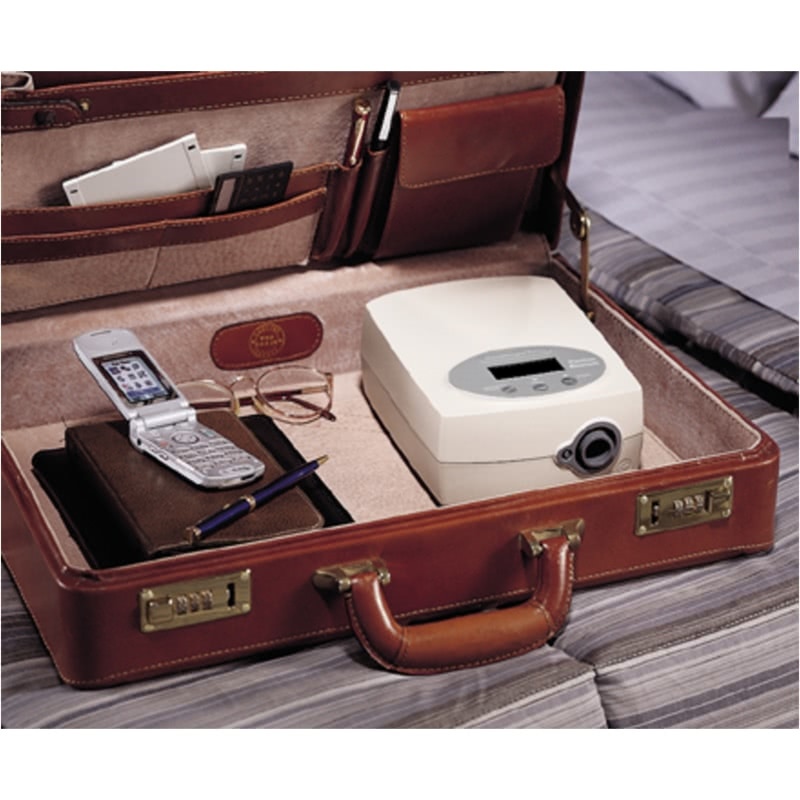 The GoodKnight 420SP CPAP can be used with a separate passover or heated humidifier. 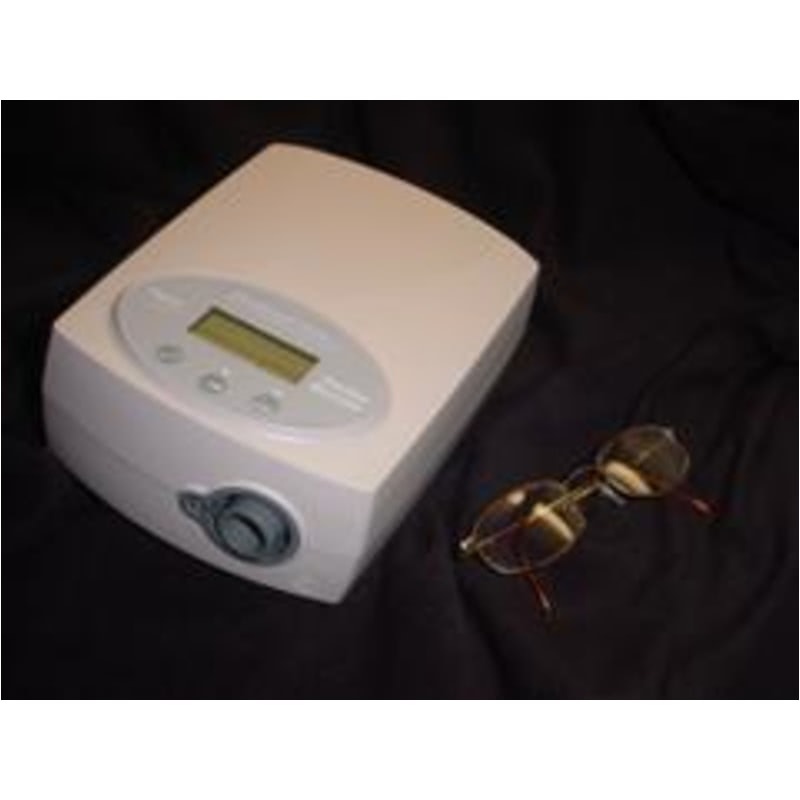 We offer it packaged with a heated humidifier at a reduced price elsewhere on our site. CPAP machines come with a six foot hose, a travel bag and manuals. Masks are not included and must be purchased separately. We will be happy to help you with sizing and offer suggestions on current popular masks. The 420 line of machines can experience power problems when used with a Full Face Mask at pressures exceeding 15 CM/H2o. If you wish to use this mask configuration, please consider a different machine. Error Note: If the machine displays an error 7 or "ER 7" this indicates an issue internally with the machine's blower. You can contact the provider of the machine to seek service if it is available, or the machine may need to be replaced. The user manual included with this machine can be viewed and downloaded here: Goodknight 420sp Machine. 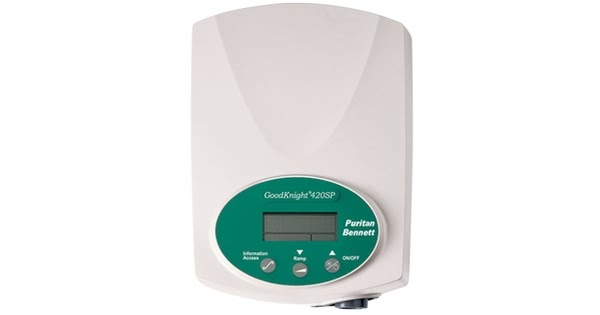 The Goodknight Series operate automatically between 110v and 240v AC. When traveling either inside or outside the USA, there are no switches to switch or fuses to change. The machine will automatically sense what voltage is needed and set itself to run on the power needed. 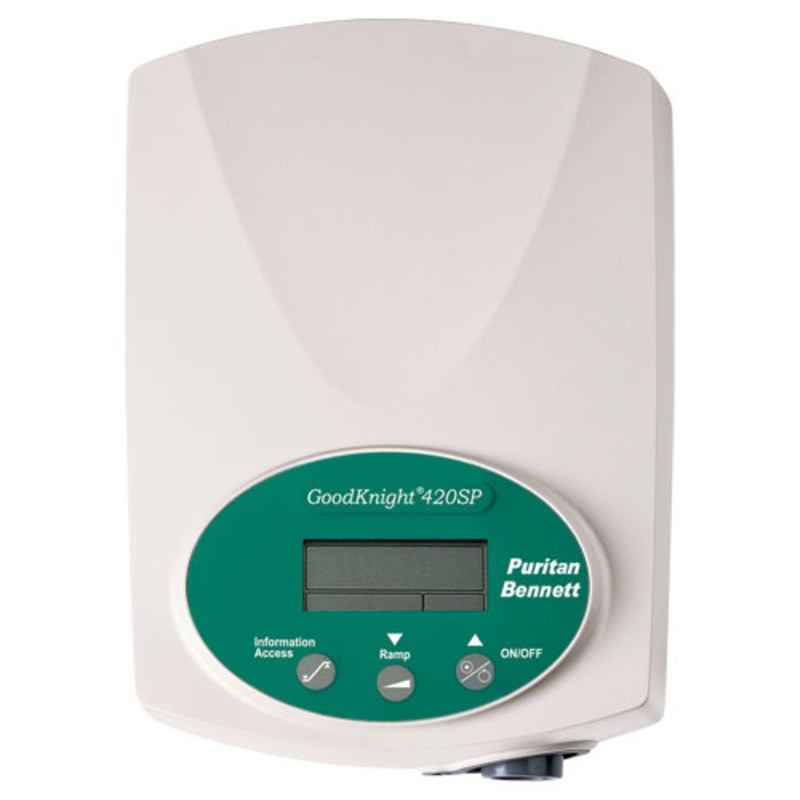 The Goodknight series come equipped with a DC plug on the back of the unit. This allows the user to connect the CPAP to an external DC battery source. Using a Puritan Bennett, 12volt DC Power Cord, the GoodKnight 420 Series can be powered by plugging into a cigarette lighter plug. This is ideal for traveling by car, boat, or recreational vehicle that is equipped with a cigarette lighter plug. The 2.5 lb CPAP.com Battery Pack is surprisingly small and lightweight. The lithium ion battery can be recharged at any discharge level without losing charge time due to battery memory loss. This battery has been approved by the United Nations and Department of Transportation as tested safe for travel. 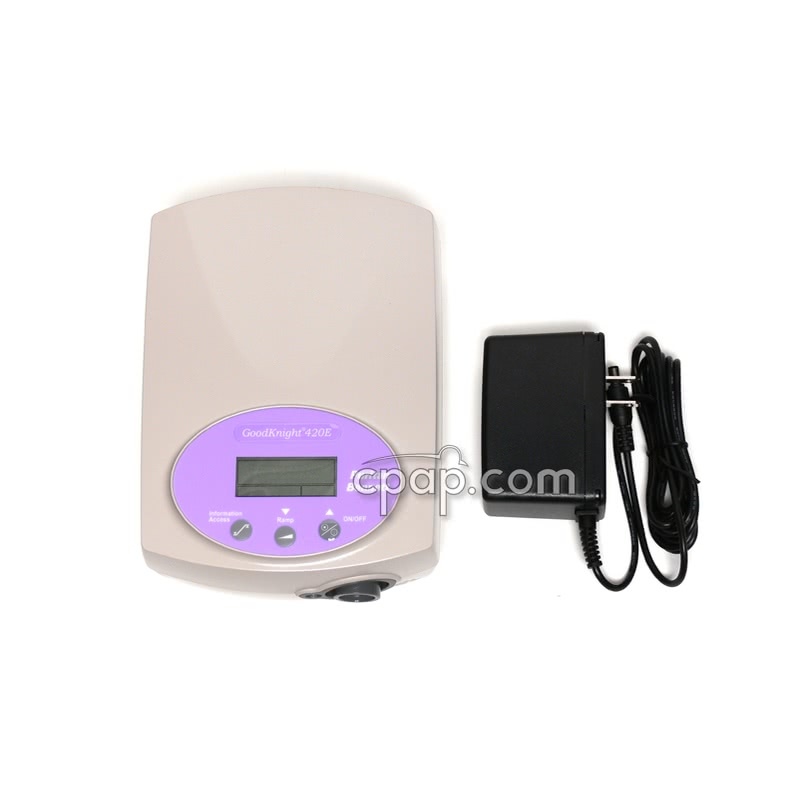 This battery kit comes with the CPAP.com battery and the GoodKnight 420 Series 12 Volt DC Power Cord. This portable battery pack is an external lead acid battery that is the ultimate in power, portability and convenience. This battery kit comes with the Respironics battery and the GoodKnight 420 Series 12 Volt DC Power Cord.